Noel Gallagher has pulled out another ten tracks from his endless bag of songs to bring us his second solo album, Chasing Yesterday. The self produced record was recorded between Jan – July 2014 and announced last October. This album follows the surprise success of his healthy selling debut album Noel Gallagher’s High Flying Birds, which sold 770.000 copies in the UK alone and took Gallagher around the world touring arenas and the festival circuit with his newly formed backing band The High flying Birds. Chasing Yesterday kicks off with The Riverman, a song that Noel claims is one of the best songs he has ever written. He had a version in demo form but was inspired to rewrite it in the style of a song called Pinball by Brian Protheroe, after first hearing it when Morrissey played during a night out in LA. The new version gives the acoustic driven song a 70’s tinge. The Riverman starts off sounding like Wonderwall and features a saxophone reminiscent of Dark Side Of The Moon era Pink Floyd and a skyscraping guitar solo performed by the albums engineer, its an excellent start! In The Heat Of The Moment was our first taste of the album. It was released on the same day Chasing Yesterday was announced. Apart from the annoying “Na Na Na Na Na’s” at the beginning its a hypnotic song inspired by a documentary about an astronaut who described going into space for the first time to be like touching the face of God, but doesn’t really mean anything according to Gallagher. 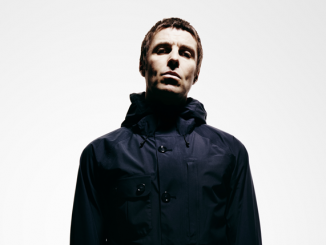 Like his debut album Chasing Yesterday is made up from new songs and tracks which were written during his time in Oasis. Lock All The Doors is one of them. Written in 1992 this song pre dates Definitely Maybe. Its a full on rocker from the same DNA as classic belter Morning Glory. The Dying Of The Light is another familiar track (there is a version from a sound check which has existed on You Tube for a while now). It’s a love song about his wife Sarah, Lyrically and sound wise its Noel Gallagher by numbers but that doesn’t matter it’s still a belter of a song and an album highlight. It is sure to be an arena anthem during the forthcoming tour. A Psychedelic experimental companion album with Amorphous Androgynous was supposed to follow his debut after they worked on some of the B-sides. The album was aborted much to Amorphous… surprise as Noel deemed the project not good enough. Its a real shame as the next two tracks The Mexican and The Right Stuff are from those sessions and they are great! Noel steps into unfamiliar sonic ‘space jazz’ territory with both songs. On The Right Stuff Noel duets with female backing singer Joy Rose, with more saxophone, this time it sounds widescreen and epic and not unlike something from Talk Talk’s Spirit Of Eden. 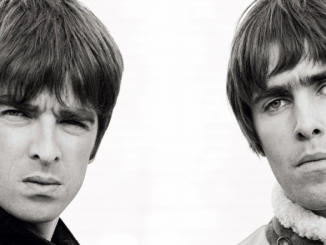 These songs would never have made it on an Oasis album and will surprise some people. It will be a travesty if Noel doesn’t change his mind and return to this style for a future album. You Know We Can’t Go Back is another rocker with a catchy chorus “Its alright but you know we can’t go back”. It segues into album closer The Ballad Of The Mighty I an energetic dance tune which sounds remarkably similar to his own song AKA What A Life from his previous record. Featuring the legendary Johnny Marr, who adds some understated guitar magic. This is another song which Noel claims to be one of his best. Chasing Yesterday is a major step forward from his previous album it’s a broader multilayered adventurous record with plenty of new ideas. His lyrics maybe workmanlike but no one can deny he knows his way around a decent melody. There are songs which are immediate and some which will take time to reveal themselves but none I would want to skip. Gallagher has said he knows his limitations as a songwriter and is comfortable working within these boundaries. With Chasing Yesterday he has managed to step outside the parameters adding musical textures and influences which would never have seen the light of day on an Oasis record, and it’s all the better for it. 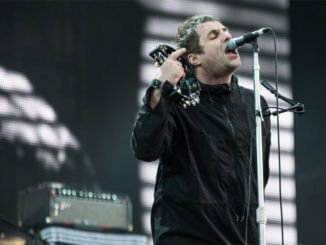 LIAM GALLAGHER – Shares New Video For ‘GREEDY SOUL’ Filmed At Air Studios – Watch Now!